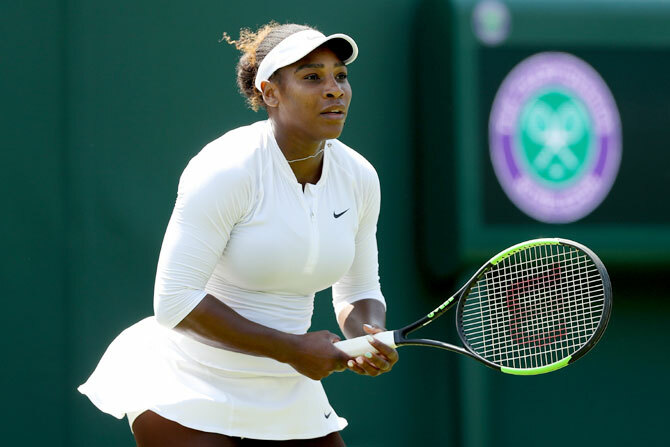 Serena Williams was not at home when a drug tester made a surprise visit to her Florida home on June 14, a spokesperson for the tennis player said on Thursday as the US Anti-Doping Agency (USADA) said it had tested her on three occasions this year. Williams's publicist Kelly Bush Novak was responding to a report on website Deadspin that an officer from the US Anti-Doping Agency (USADA) had visited seeking to drug test Williams outside the allotted daily window. Williams, 36, is one of many athletes in the international testing pool who is required by USADA to let the agency know her whereabouts for a one-hour period of her choosing every day, even when not competing. Testers, however, have the right to also make unannounced visits outside the one-hour window, though there is no guarantee the athlete will be at the location. Deadspin reported the testing officer had arrived at Williams's home at 8.30 a.m. local time, and had refused to leave until Williams had been tested. He eventually departed without a sample. The website published the story after receiving a tip from someone who it says overheard phone conversations by Women's Tennis Association (WTA) CEO, Steve Simon, in an airport. USADA would not confirm specifics of the matter, citing athlete confidentiality. "It’s unfortunate that an athlete’s right to confidentiality and privacy was leaked by a third-party," USADA spokesperson Brad Horn said to Reuters in a written response to a series of questions. "For fairness to athletes and their privacy, public disclosure of test missions are not made public, unless a stated time requires such notification." Horn did, however, say that Williams had been tested on three occasions this year, for a total of five tests. USADA can request a blood and/or a urine test, which means that on two occasions Williams was tested for both. Horn said Williams passed all tests. The USADA website says an athlete will receive a missed test if he or she is unavailable at any time during the one-hour window. Three missed tests in a 12-month period count as a doping violation. In addition, USADA officers can seek a test outside the allotted one-hour window, but failure to provide one does not count as a missed test. "While she willingly continues to submit to testing, there is absolutely no reason for this kind of invasive and targeted treatment." The WTA did not respond to a request for comment. Williams, winner of 23 grand slam titles, has returned to competition this year from maternity leave.